A company that was formed in 2011, Lotto Booking has been around long enough to know what is going on in the world of lottery. They were formed by a team comprising some of the best marketing minds and programmers all with a passion for the lottery. 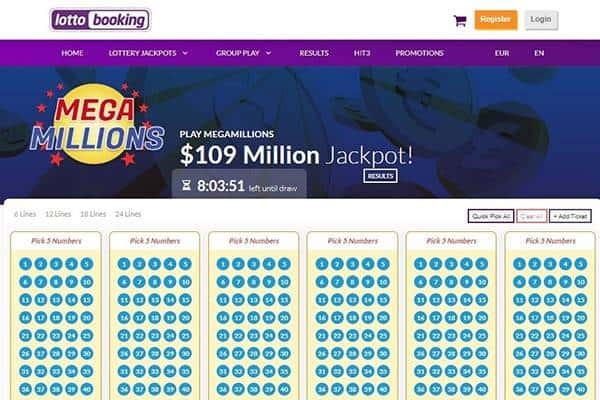 Their main goal was to make the lottery an even more enjoyable experience than it already is, by offering easy and simple ways for people to play more lotteries from all over the world. 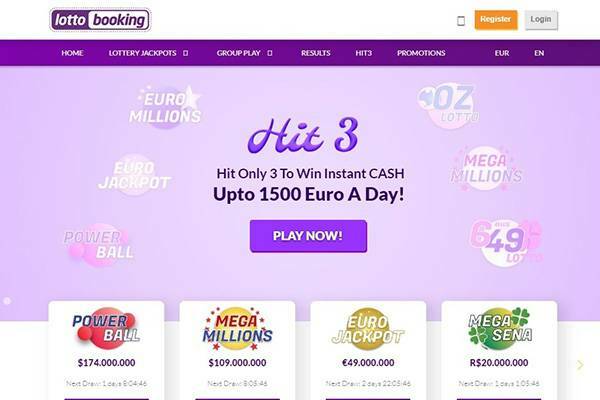 Offered in 9 languages lottobooking.com brings up to the comfort of your home a wide variety of lotteries, including USA PowerBall, EU Euro Jackpot and MegaMillions, with the biggest jackpots all over the world. The site design is nice to the eyes, but still we think that very important information is not available until you open an account. That’s why reading the Lotto Booking review is so important. Anyway, we hope they will add some sections with the basic details every player must know before opening an account. The site is licensed by Curacao Gaming commission, by this way the platform usage and interaction is fully regulated. The main additional feature that Lotto Booking has is that they offer the chance of getting involved in syndicates. Syndicates are always a good feature in a lotto provider as they allow the players a hugely increased chance of winning a large prize – granted, though, that the size of the jackpot pay out per individual is less than if you won it on your own, but you will win it more often. 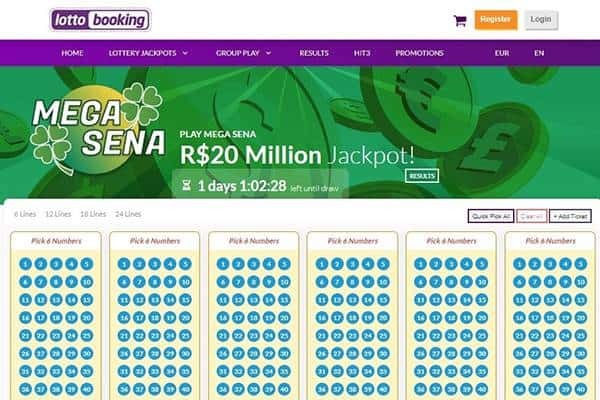 At the site, you will find the following lotteries offering the biggest jackpots: US PowerBall, EuroMillions, EuroJackpot, MegaMillions, Australia Powerball, German Lotto 6/49, EuroMillions, Mega Sena, SuperEna Lotto, Irish Lotto, Oz Lotto and New Zealand PowerBall. Many of this lotteries are most of the time reaching multi millionaire prizes, going to sums bigger than $100,000,000 (yes, you read correctly, more than one hundred millions!). The site can be use from all European countries, just remember that US players are not allowed. 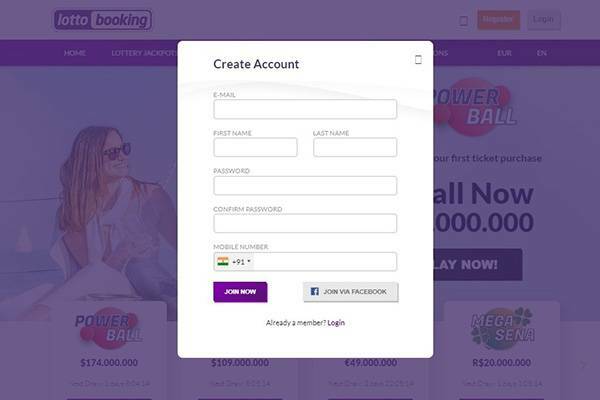 That’s why LottoBooking.com supports the following languages: English, French, Danish, German, Russian, Spanish, Finnish, Swedish and Norwegian. LottoBooking offers a incredible welcome promotion of 100% cashback on your first purchase if you don’t win. Using this cashback promotion you will feel really safe during your first usage of the site. Like all lotto provider websites, and in fact, all other businesses, Lotto Booking need to make a profit and they are doing so by adding a small fee onto the price of the tickets. This means that you will pay slightly more for you ticket through them than it actually costs. But they also allow you to play lotteries in other countries that you wouldn’t be able to normally. So its ok to play slightly more for that privilege. Lotto Booking take their position of power within the lotto industry very seriously and are dedicated to ensuring that only the best security and safety is provided to their players. They understand how amazing the lottery can be and do their best to keep that as safe an enjoyable for everyone as they can. The encryption they use is called, GeoTrust Encryption Technology. The customer service department is available by telephone (+44 2038070108) or by email (support@lottobooking.com). Is available 24/7 and is always ready to solve any inquire you might have. Finally, if you look deep enough inside the website, you will find a live form that once is filled and sent they will contact you back. As we are use to it at many other platforms, we are missing a live chat channel, that allows an instant treatment of any issue. Lotto Booking accepts the most popular and secure payment methods, including Visa, Visa Debit, Visa Electron, MasterCard, MasterCard Debit, JCB, Discover, Skrill, Neteller, Soffort, WebMoney, Diners Club and GiroPay. Please check out at the depositing page after registration to know which method is accepted in your country. Also, take into account that the deposit methods can be different from the accepted withdrawal methods. All the transactions are secured by encryption, as you can feel comfortable when using the cashier at the site. 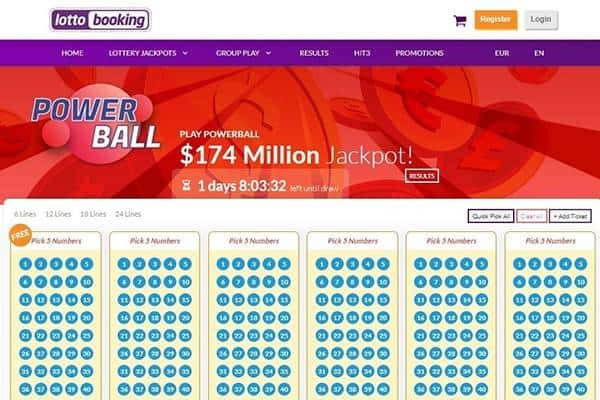 We can say for sure that Lottobooking is offering all that you need on the online lottery universe. You will find the biggest jackpots from the most recognized lotteries all over the globe, the most popular payment methods, secure transactions, gaming regulation compliance and a good customer service department. If you add to this the 100% cashback promotion on your first interaction with the platform, we can say for sure that lotto booking is one of the top 10 platforms around. 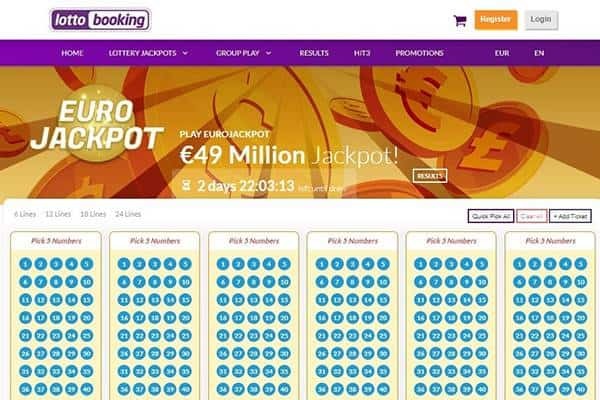 Lottobooking.com is regulated by Curacao Gaming authorities and works with high standards of encryption for every transaction. The platform is online form many years now, and we think is a legit site where you can buy online lottery tickets without any doubt. We didn’t find any scam complaint, so we feel safe to say you: Enjoy it!